CONQUER THE CURE WITH OUR INCREDIBLE NEW KIT! WELCOME TO A NEW WAY OF COOKING! 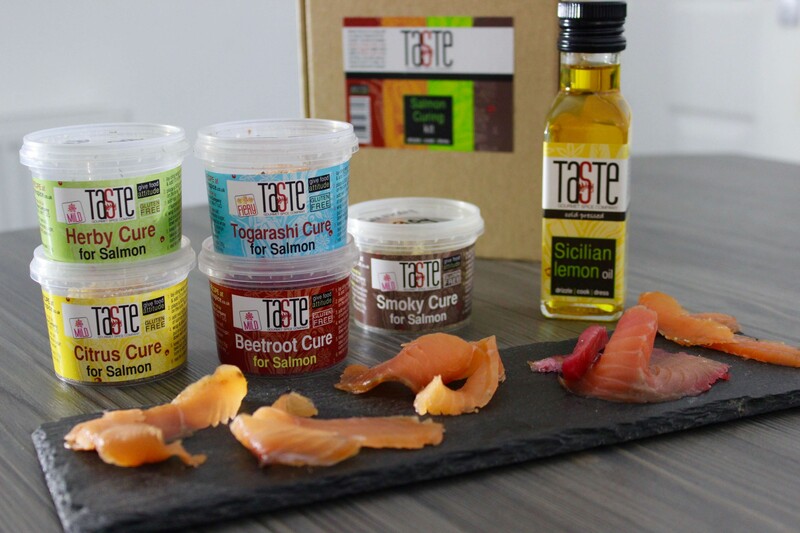 As one of the UK’s ‘Most Innovative Food & Drink Companies’, we’ll help transform everyday food into something special! 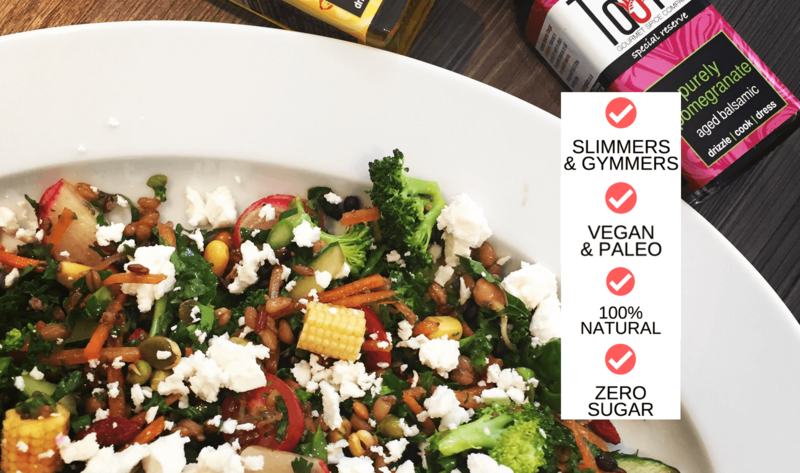 Forget long shopping lists & complicated recipes – we make real food really tasty! 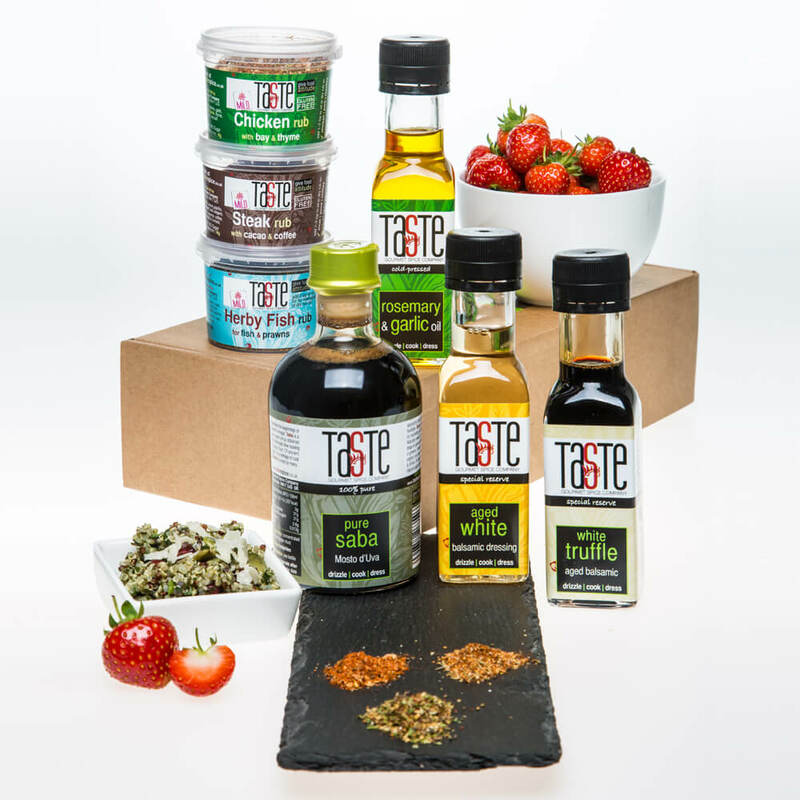 Our versatile, healthier products will help you kickstart your cooking & eat food with TASTE! 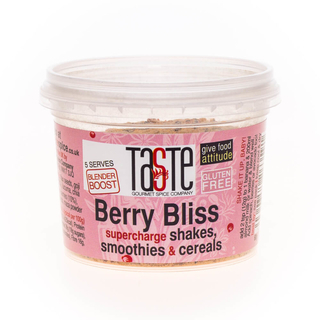 We’ve some incredible flavour combos to kickstart mealtimes! Our Chilli & Lemon Oil gives a gorgeous fresh warmth to seafood or pasta; our Chimichurri rub lifts red meat to a new level & our signature Balsamic range adds incredible depth to salads, stir fries, sauces & marinades. Boring food – begone! All our Rubs are low/no salt & nearly all are ZERO SUGAR, perfect for paleo & health-conscious diets. With NO FILLERS, they’re gluten-free, vegetarian & vegan too. Oh, check the added sugar in other vinegars & dressings, then ours. That’s right, we don’t add a grain of sugar to those either! We do things differently. We make products we love to use ourselves, so they’re versatile, tasty & pure. Only 4 products with sugar. 150+ without. No flour, emulsifiers or thickeners. Vegan or veggie? We got you covered! Clean & healthy eating at our core. Add a teaspoon to a splash of oil or yoghurt for a simple marinade or throw it on food as you cook! Rubs will revolutionise mealtimes! Most are ZERO SUGAR & all are no or low salt, perfect for Paleo & health-conscious diets. With no fillers, they’re all Gluten Free & Vegan-friendly too. 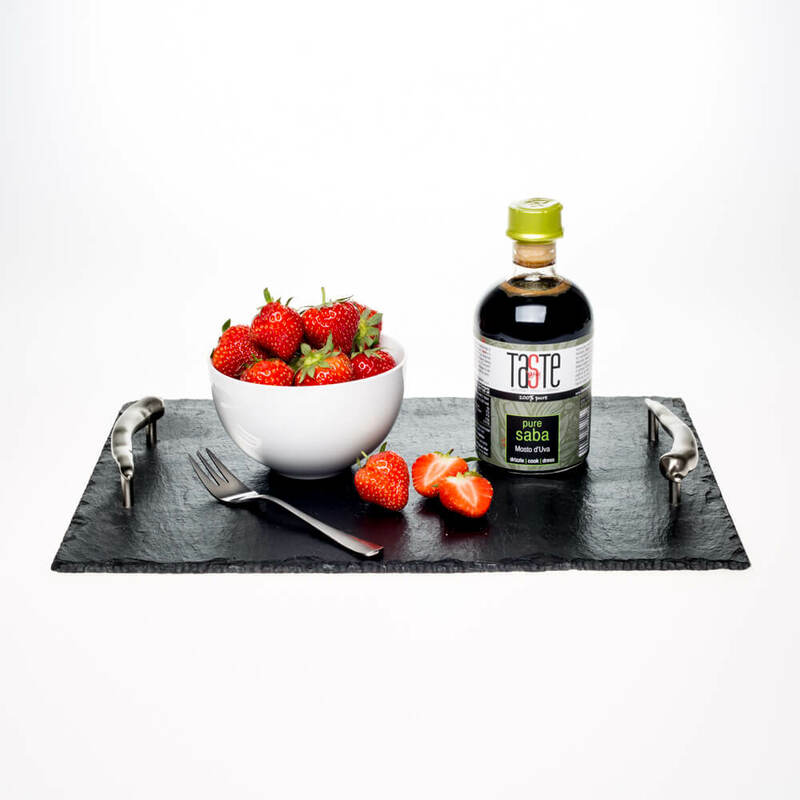 Other fruit vinegars can contain 40-50% sugar; ours is an authentic Modena balsamic infused with real fruit & ZERO sugar! 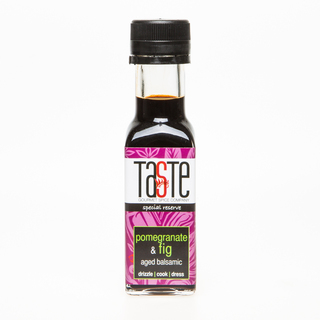 Add a drizzle onto meats (like you would with mint sauce on lamb) or salads & roast veggies for huge flavour! Add to sauces or stews too. Add 1 tsp of this balanced blend to a banana & 200ml almond milk & blend well for a huge nutritional boost! Use in cereals too. Zero added sugar. Maximum taste & nutrition. 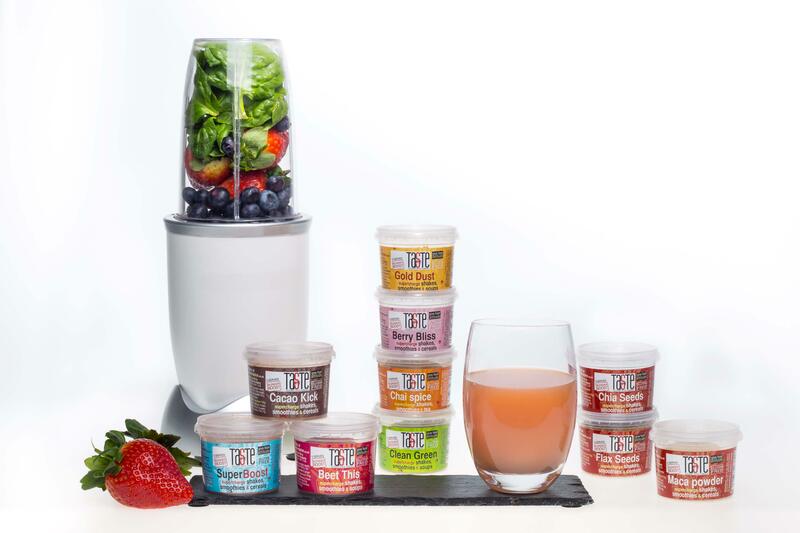 These are quick & easy ways to boost the nutritional value of shakes, smoothies & cereals. Add a drizzle on salads, pasta, pizza, seafood, veggies or meats for a gorgeous kick of flavour, or dunk crusty bread into it. Yum! Our rapeseed oil infusions are ‘clean’ tasting with no bitterness. They’re around half the saturated fat of olive oil with a higher smoking-point too! 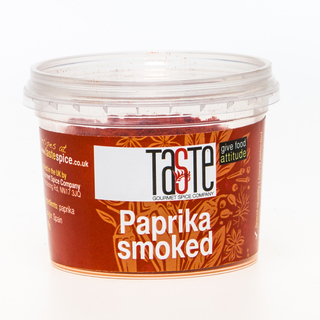 Add a pinch to anything for an immediate kick of flavour whilst you season. It doesn’t get any easier than this! 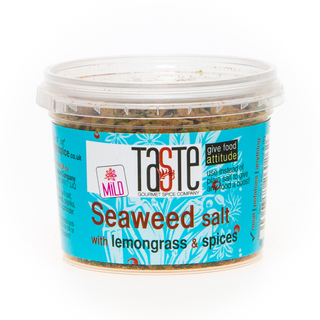 We only use British sea salt flakes, which taste saltier so you’ll use less – without needing a grinder! No cheap rock salt here! 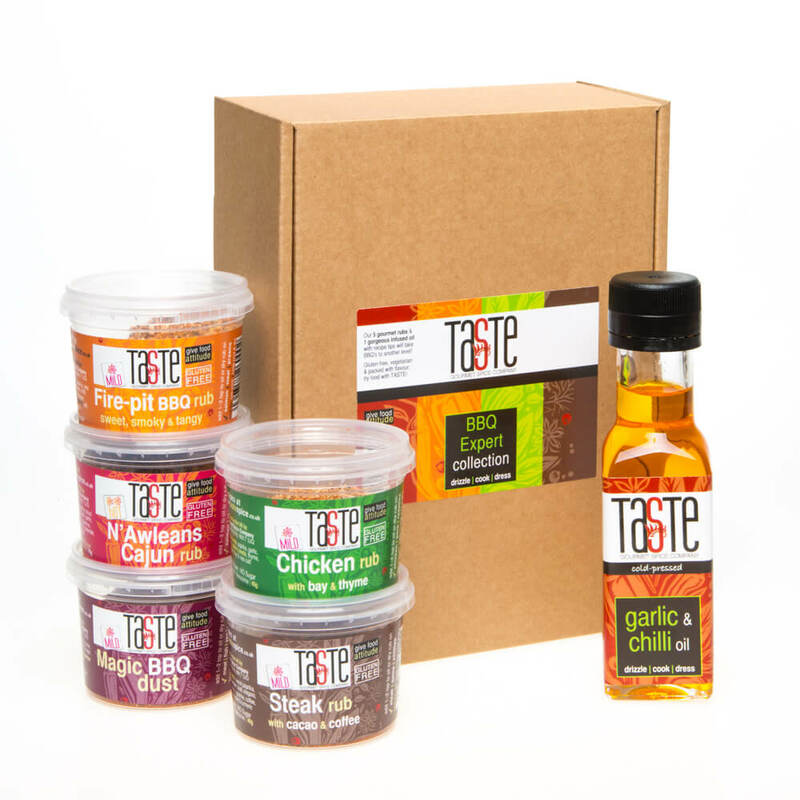 We’ve got gift sets to suit every budget, from rub & oil combo sets to full collections of rubs, salt, balsamic & oils! We can also do personalised gift vouchers so the lucky recipient can choose from over 100 products themselves! 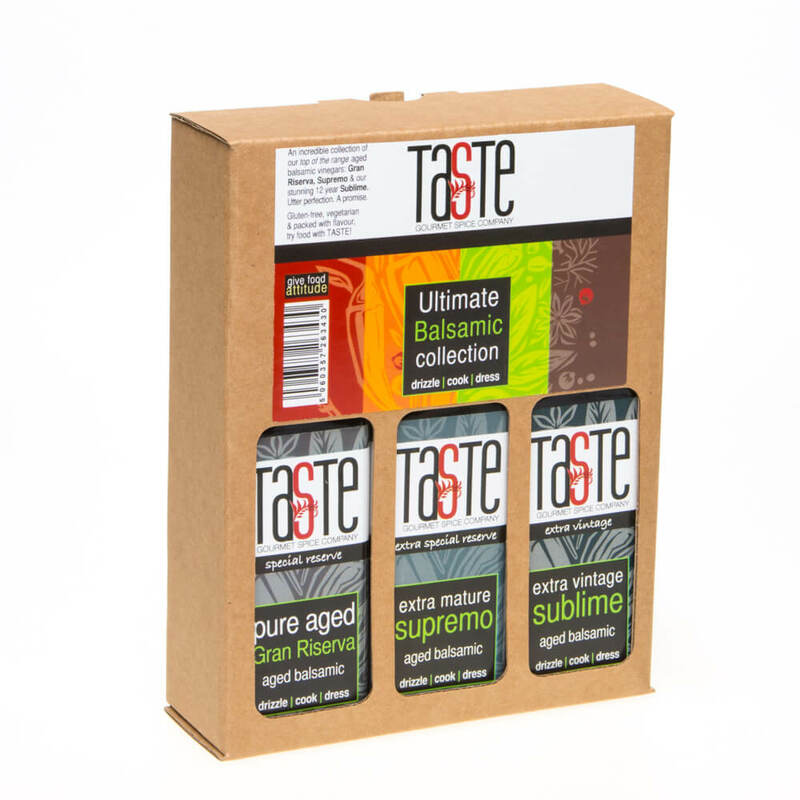 Over 60 store-cupboard essentials, fresher & better value than supermarkets for any serious spice connoisseur! 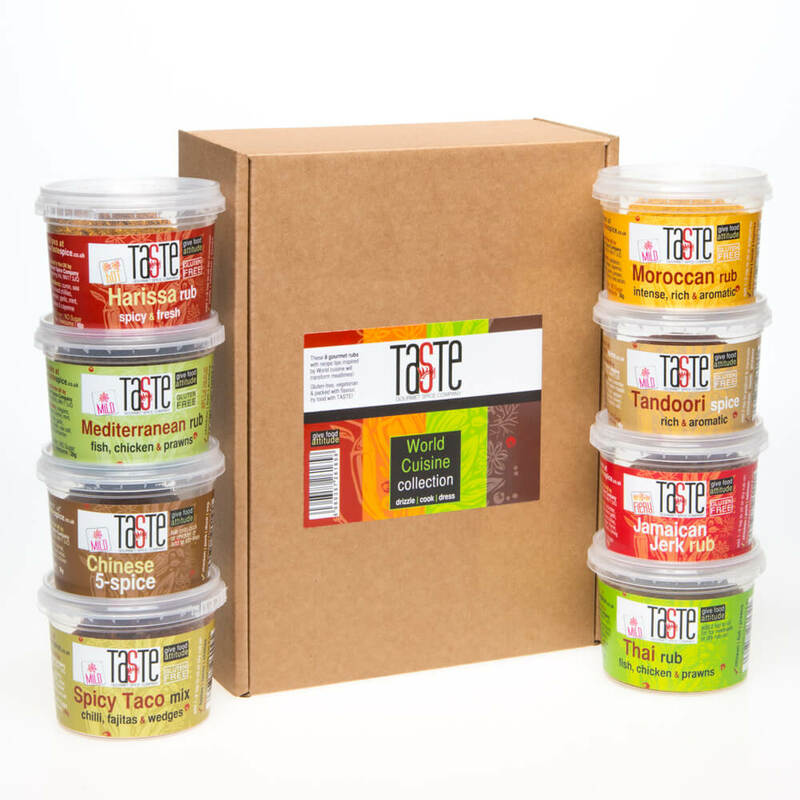 We don’t add fillers to any of our spices & they’re all supplied in resealable, stackable pots for your convenience. Your products are truly delicious and I cannot wait to try my new Mango & Green Apple White Balsamic Vinegar! I used the 10-Spice Winter Spice Salt to flavour a banana & mango tart. Taste-tastic! Sunday lunch was roast chicken with Chicken Rub, mash with Garlic Salt & veg with Herb Salt. Your products really enhanced our meal – I’ll recommend to many! Your products are unique & imaginative, making experimenting in the kitchen a pleasure rather than a chore. Your balsamic turns a simple salad into real ‘treat food’. I am absolutely in love with your Chicken Rub & use it at least once a week! Fab! The most amazing balsamic vinegar I’ve ever tasted! People, don’t waste money on ANY other balsamic, once you’ve tasted these you will be addicted. Sublime! 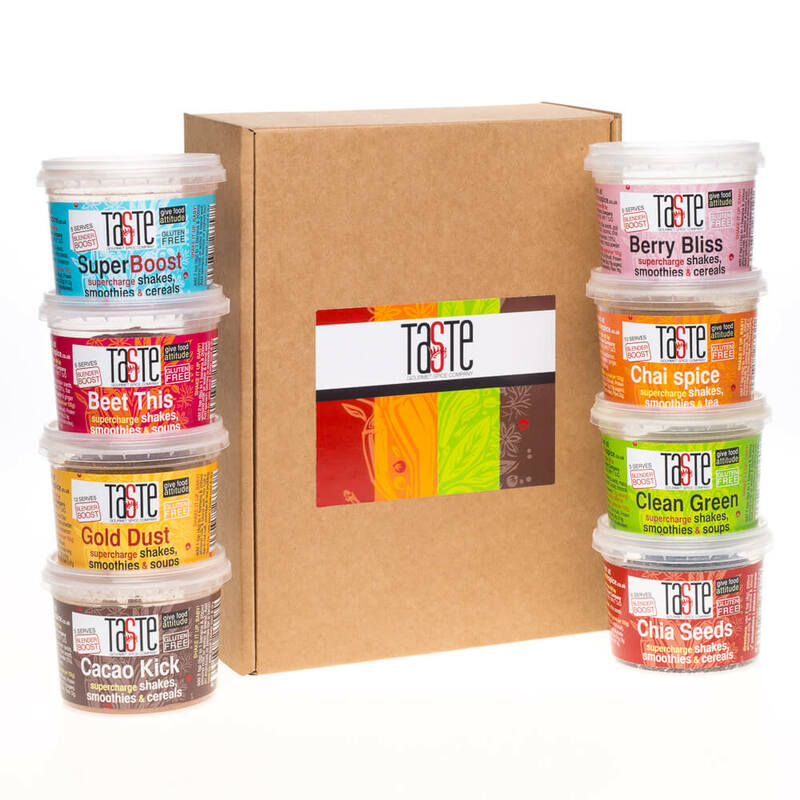 Gourmet Spice put passion, authenticity & innovation in their products to enhance the flavour of anything they touch! We used the Chinese 5 Spice on some chicken last night & loved it! So tasty! I used your 10-Spice Winter Salt in a venison stew & roast poussin – so special & versatile! The Balsamic, Honey & Mustard drizzle smells & tastes AMAZING! 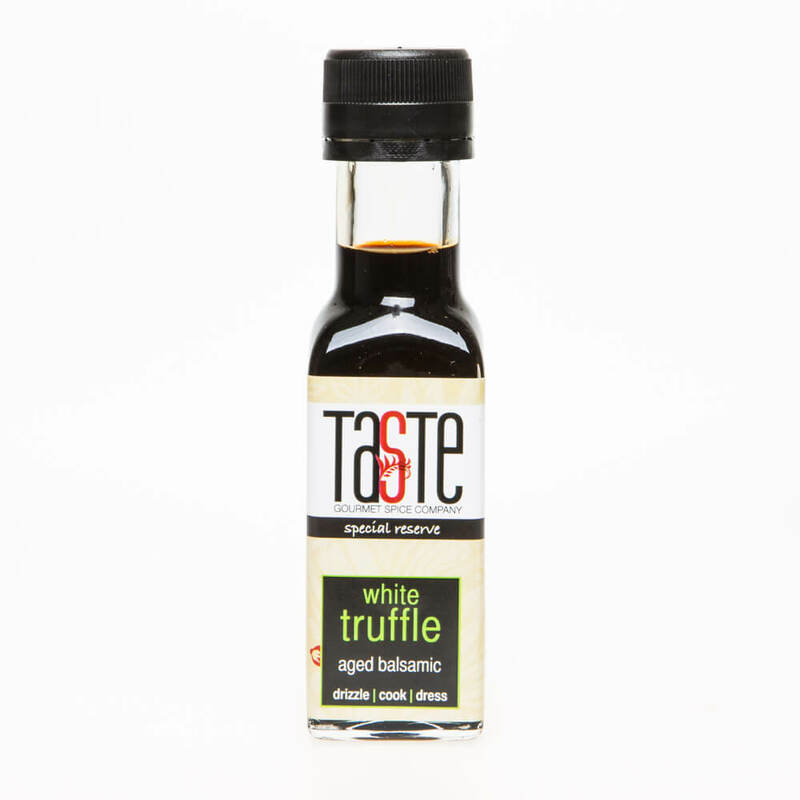 Top White Truffle Oil! It worked perfectly with my mushrooms! Spicy Taco is great when you put it in the base of a steamer before steaming veg: it infuses flavour through it! Beautiful! Your marinades & rubs are one of the best culinary experiences! 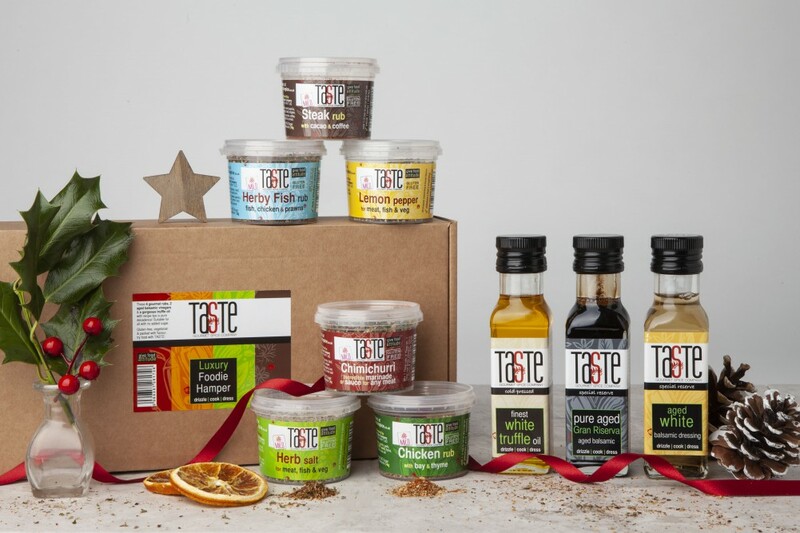 Only top-quality businesses with exceptional customer service join the Great Food Club & you certainly qualify with some wonderfully inventive products. I love your products! I would recommend highly to anyone. 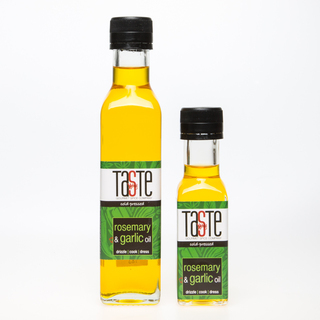 I love the White Truffle Oil & your Blackberry & Rosemary Balsamic is divine!. Your products are fantastic quality & I use them in so many ways: on a roast, a marinade & salad seasoning. I put a grind of Berbere on everything! Our leg of lamb stuffed with garlic and rubbed with Moroccan Spice Rub was unbelievable! Your Paella spice blend just made it so easy & the flavour was exactly the same as I’ve tasted in Spain. 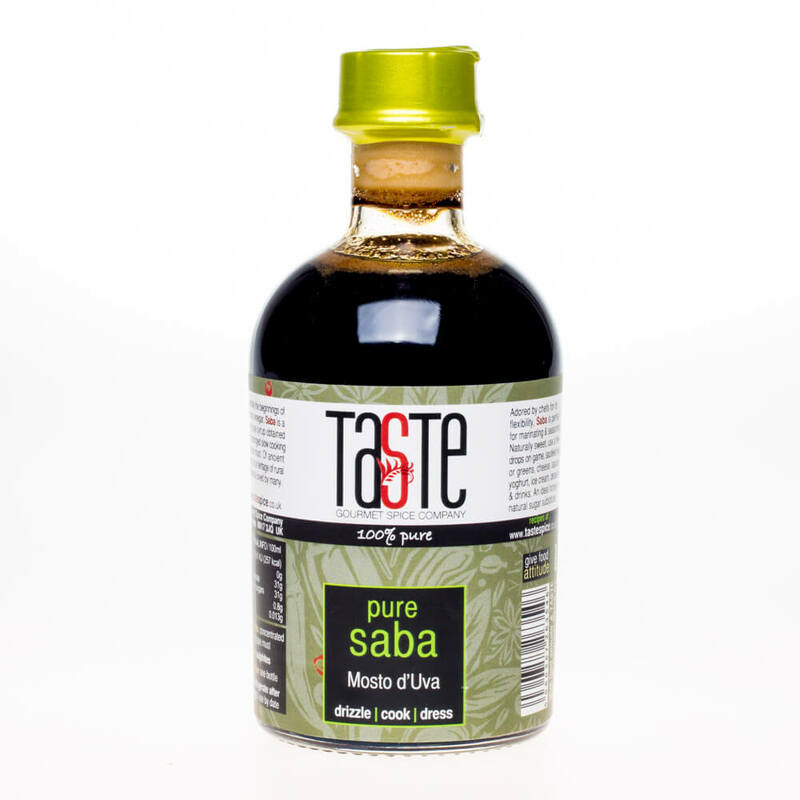 We (and all our friends who have come to dinner) think yours are the best tasting balsamic vinegars we have ever tasted. We love them! I thought my fave was the Chilli & Lemon Oil but the Garlic & Chilli Oil has raised the bar again! Every meal should involve the Garlic & Chilli Oil, we are loving it! 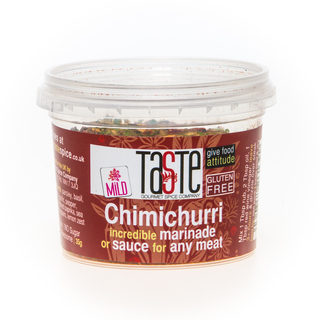 We’ve just had Chimichurri on on chicken & it was AMAZING! QUICK & EASY! 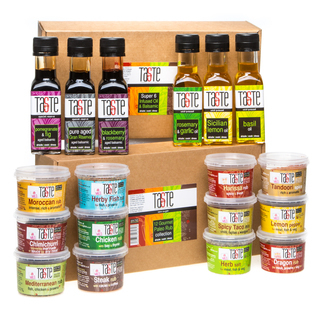 Just a pinch of one of our Rubs or Salts or a drizzle of Infused Oil or Balsamic Vinegar gives anything a massive boost! Incredibly versatile & easy to use, add a splash of oil to one of our RUBS for a simple marinade or use a pinch of our FLAVOURED SALT for seasoning & flavour in one! 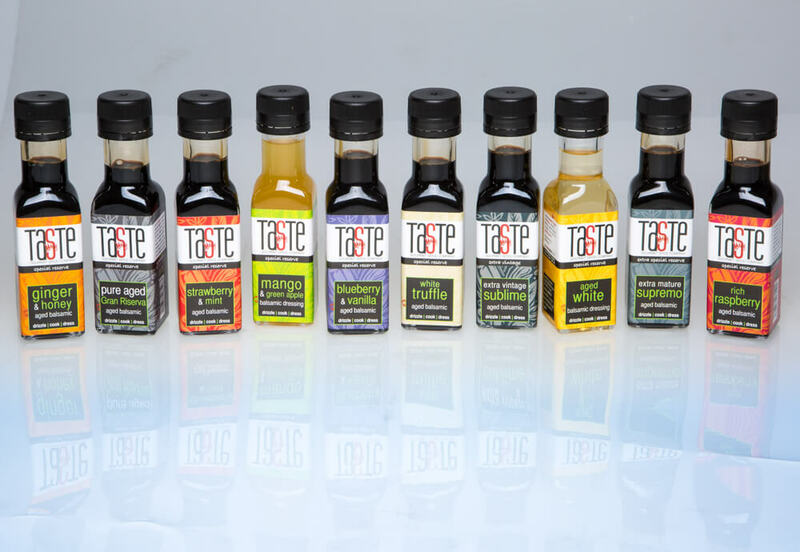 A drizzle of our INFUSED OIL or BALSAMIC VINEGAR lifts salads & pasta dishes to another level!